Along with the rapid consumption of exhaustible nonrenewable petroleum energy resources and high emission of green gas, the plug-in electric vehicles (PEVs) achieve a high-speed development. These vehicles may reduce consumption of petroleum resources and may reduce pollutant emissions including greenhouse gases. 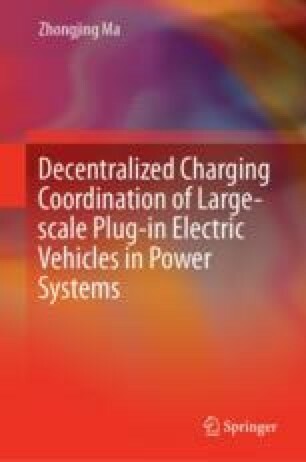 However the improper or disordered charging behaviors of high-penetration PEVs may have significant negative impacts on power grid, like more investments on grid system, higher energy costs and increased peak load etc, see [1, 2, 3, 4, 5, 6, 7, 8, 9, 10, 11, 12, 13, 14, 15]. For example, if a large number of PEVs began charging around the time most people finish their evening commute, a new demand peak could result, possibly requiring substantial new generation capacity and ramping capability .